Dr E.M. Martin, despite a comfortable life with a loving family and every measure of worldly success, had always been plagued by a feeling of desolation within her soul. 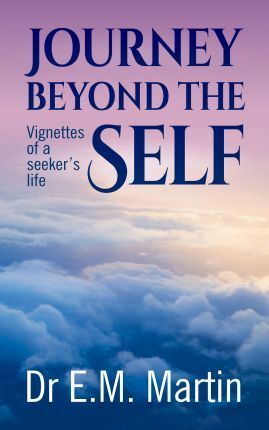 In Journey Beyond the Self: Vignettes of a Seeker's Life, she traverses the darkness of the psyche, bringing it to the light of consciousness and beyond. The vignettes take the reader on a journey to enlightenment through words, inspirations, poems and dreams as Dr Martin seeks to answer life's great questions: Who am I, why am I here and what is the purpose of this life?